Put a Non-Stick Frying pan over medium-high heat. Add butter and make sure that it is hot before you crack in an egg. Cook slowly until whites are completely set and yolks begin to thicken but are not hard. Sunny-Side Up Egg is ready to serve with Silicone Spatula. Cut 2 slices of Mozzarella cheese, few pieces of Cucumber, Cherry Tomato, Red Bell Pepper with a knife on a cutting board. 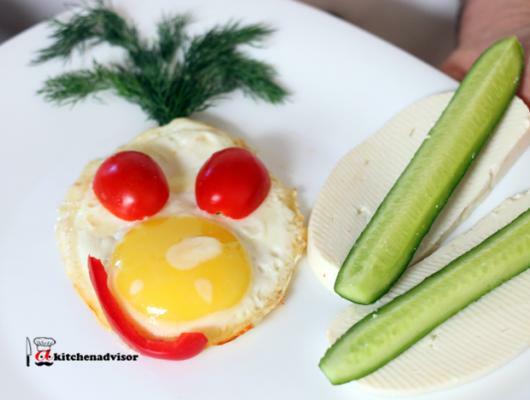 Add a small bunch of Dill to make a funny face on a large white square plate. How to make a sunny side up egg? It is extremely easy and it is fun. Join us to learn how to make a sunny-side up egg with Cheese and Tomato. Your kids are welcomed to our kitchen as this quick breakfast recipe is absolutely kids friendly. 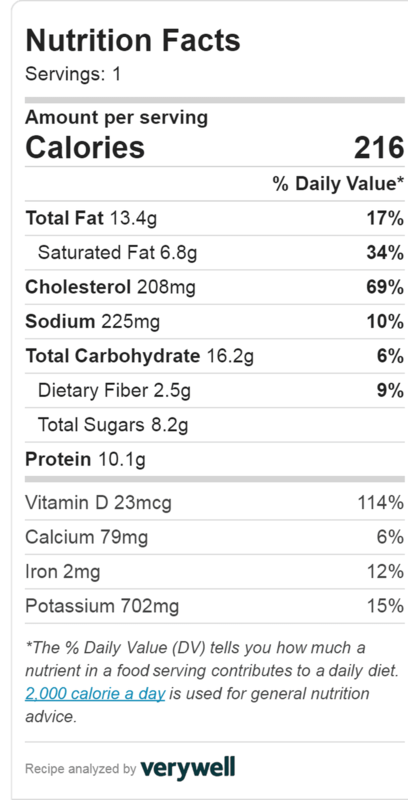 Also this is a healthy recipe and there is no need to calculate calories and feel remorseful about extra fried bacon strip. We are happy to share with you easy breakfast ideas.